Top quality products designed and produced in Bushwick since 2005. For small businesses, by a small business. Ready to announce your business to the world? Need some wayfinding signs for your building? 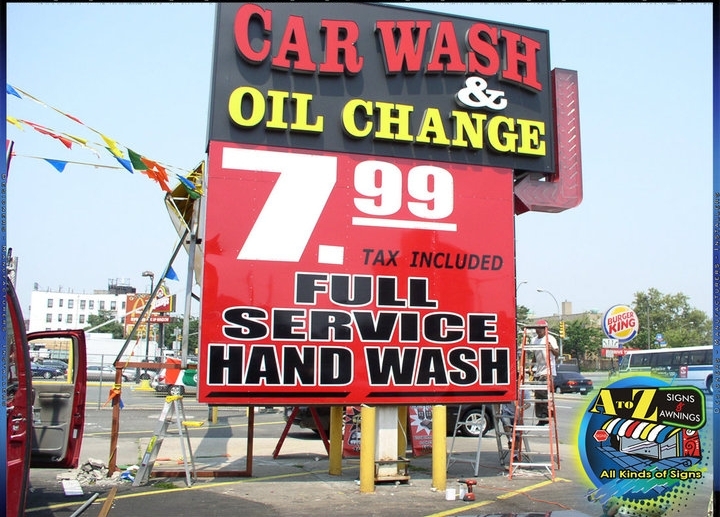 A to Z Signs is here to guide you to the type of sign best suited for your needs. Want some shelter for you or your customers from the sun or rain/snow when you're outside? A to Z Signs will custom design an awning to fit your every need, whether for personal or business use. Have a car, van, truck, or any other vehicle that you would like to decorate a bit? A to Z Signs will custom design vehicle lettering to fit your every need, whether for personal or business use.